Hi There! 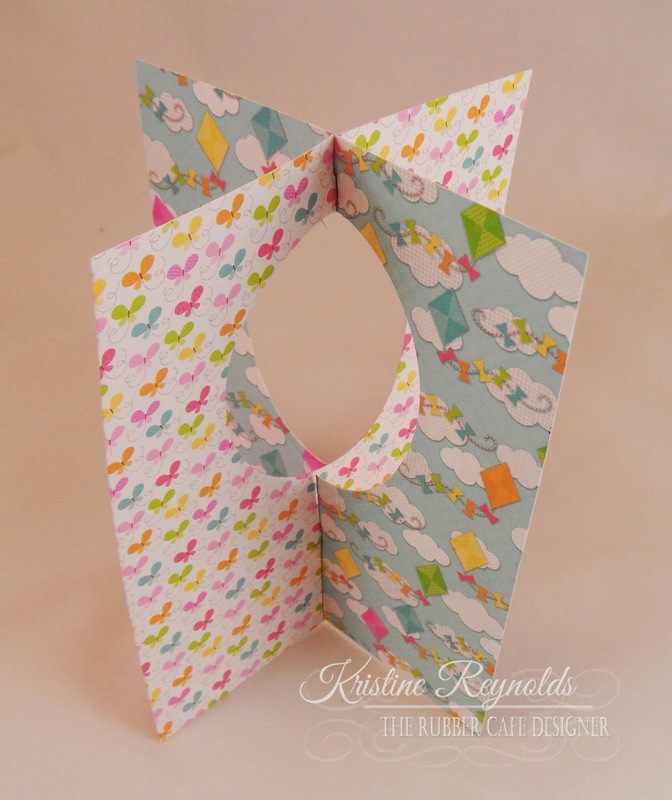 Kristine here today with a Four Sided Fun Fold card that I made with the April Creative Cafe' Kit of the month. 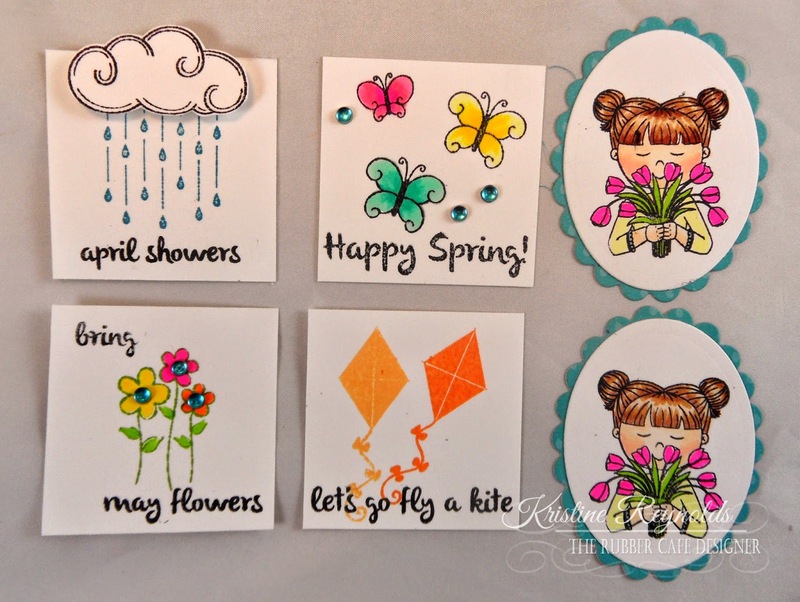 This is the first time I ever made one of these cards and it was really easy so I hope you'll give it a try! 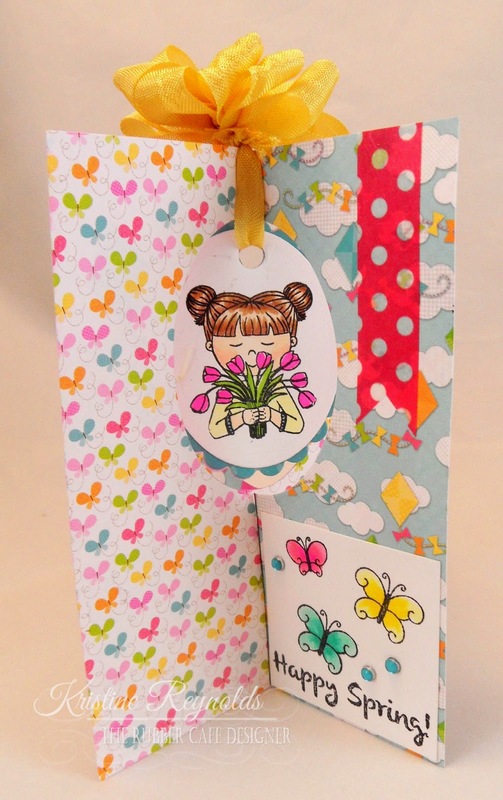 Start by choosing two pieces of the double sided paper from the Doodlebug Design paper pack that comes in your kit. 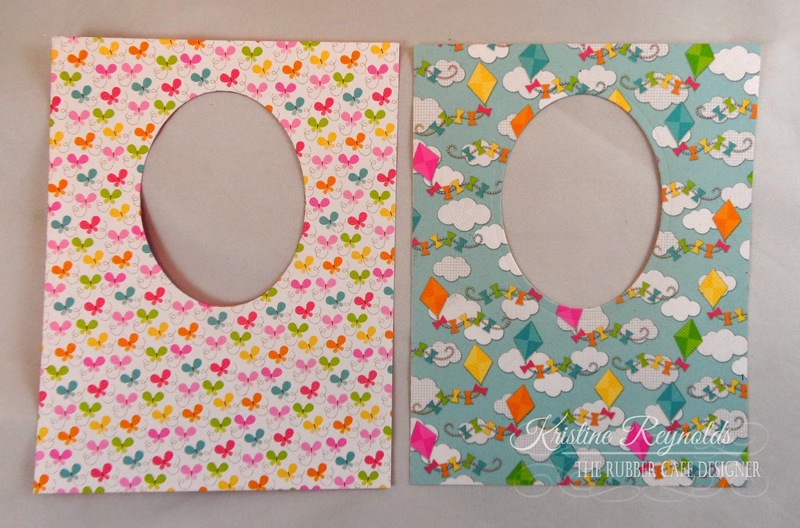 Cut them each to 5 1/2" x 4 1/4"
Die cut a shape in the two panels. 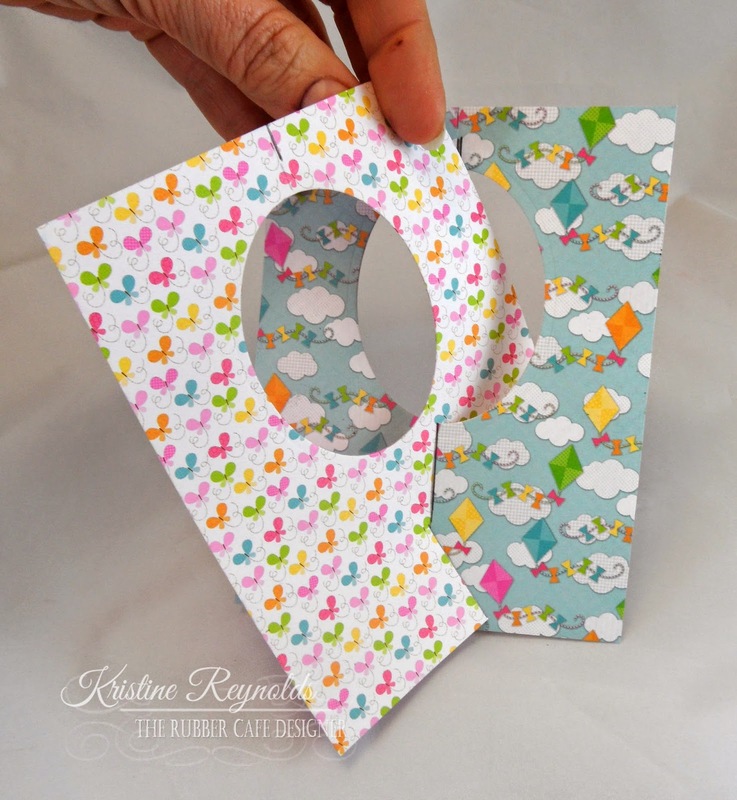 I cut an oval but your could cut a circle or a square. 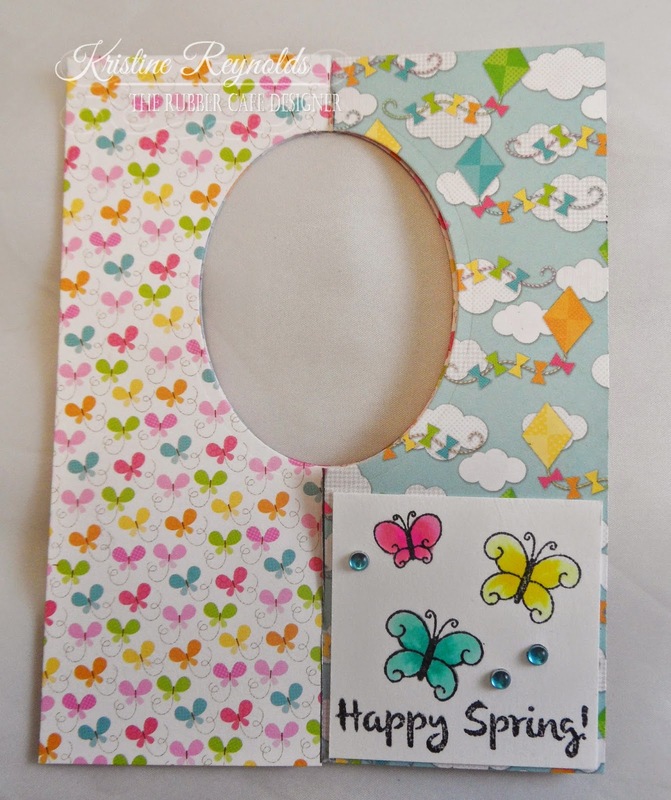 Cut a little into the first panel from the top and the bottom as shown on the butterfly panel picture. 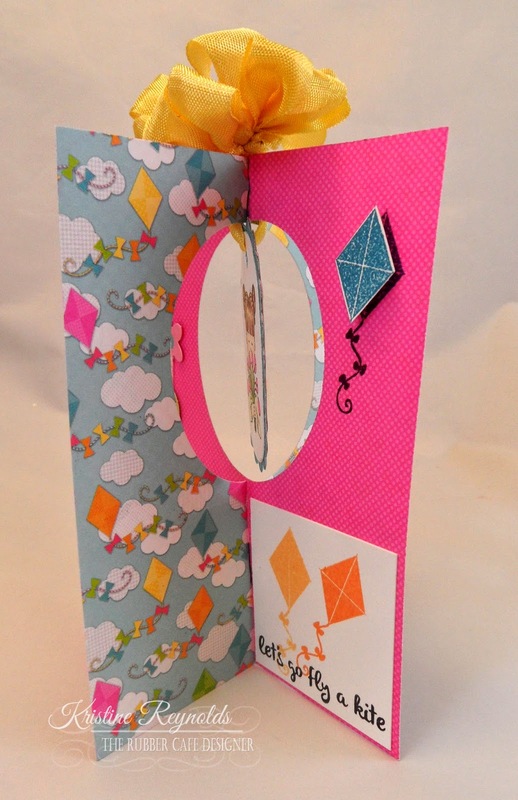 Cut a little from the inside of the oval out as shown on the kite panel picture. Slide one panel into the fist panel as shown. 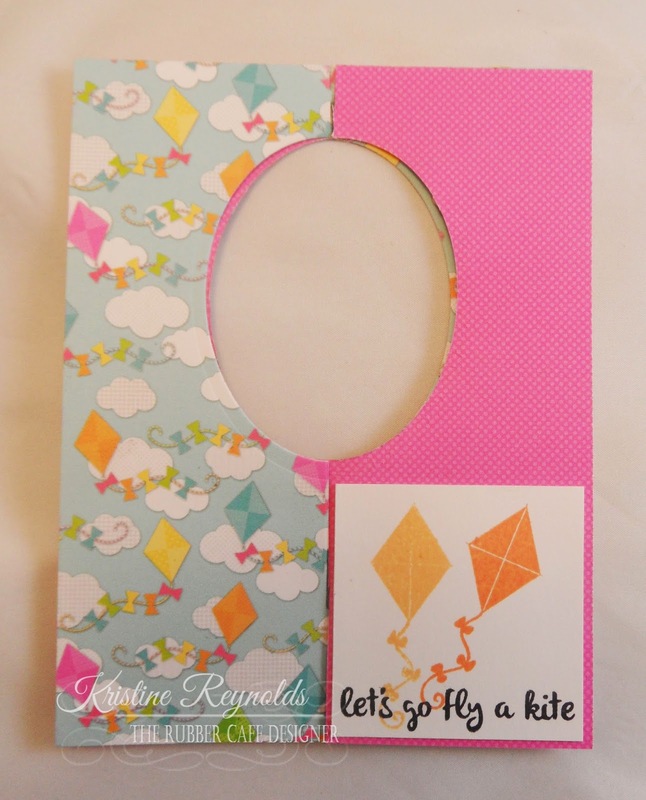 When the two pieces are slid together it will look like this. 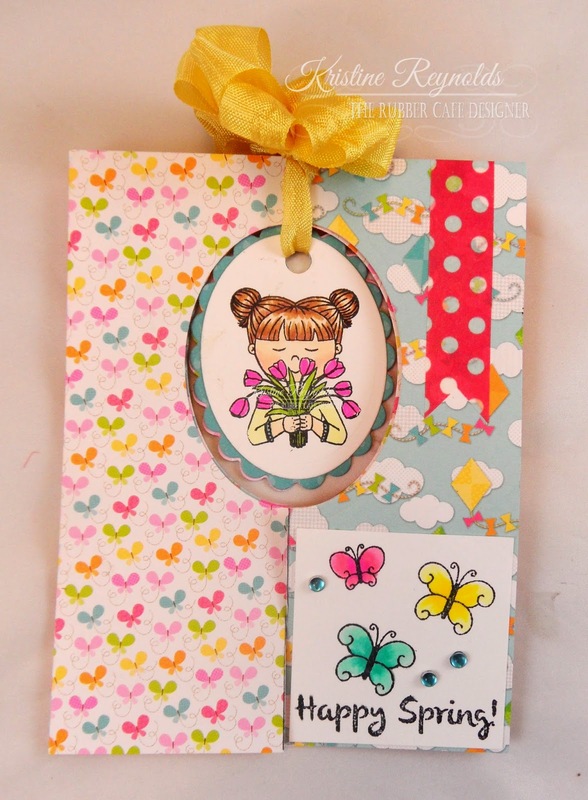 Stamp and color the panels to decorate the card. 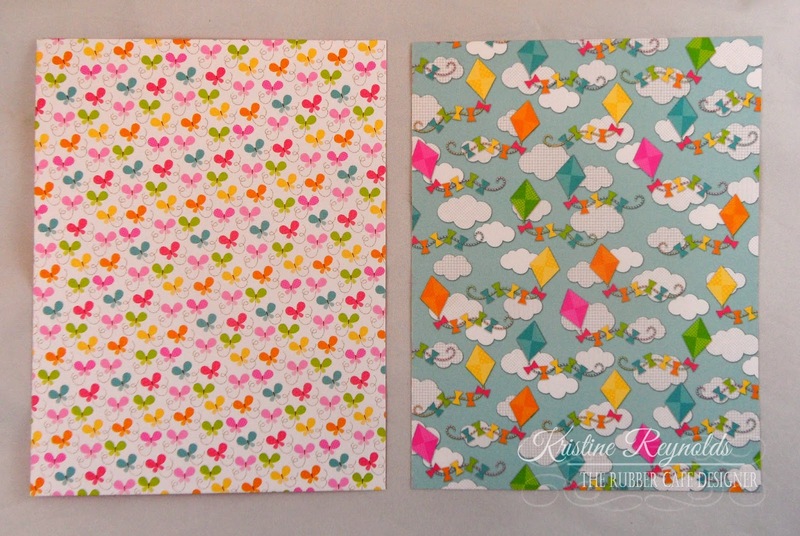 Adhere the panels to decorate each of the four sides of the card. 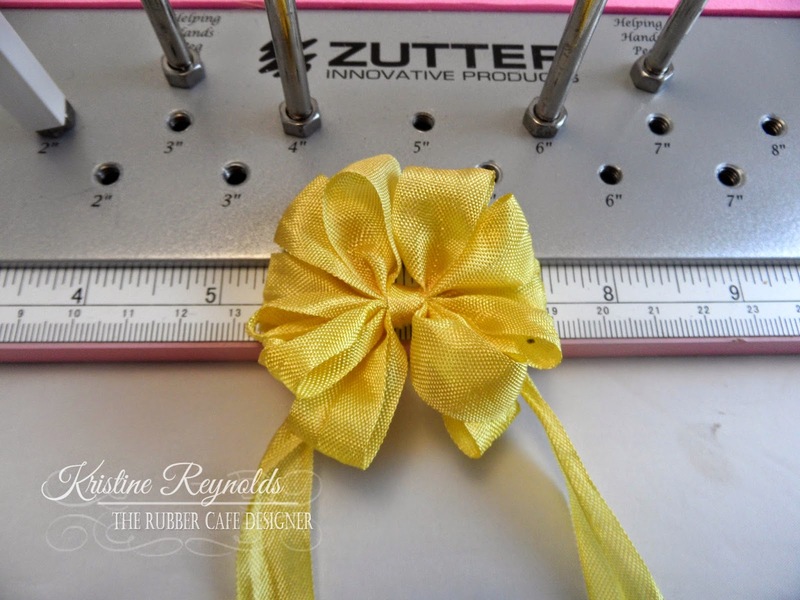 I used the amazing Zutter Bow-it-all to create this awesome bow. It looks like this when it's done. 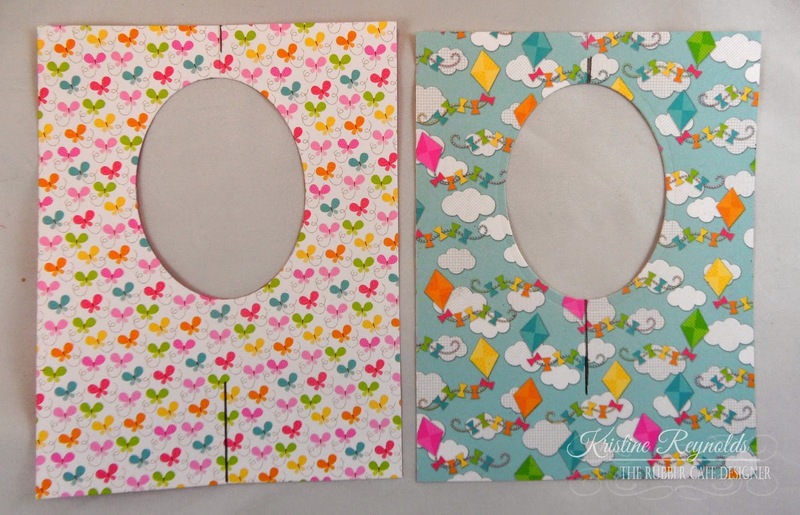 Adhere the two oval panels together back to back. 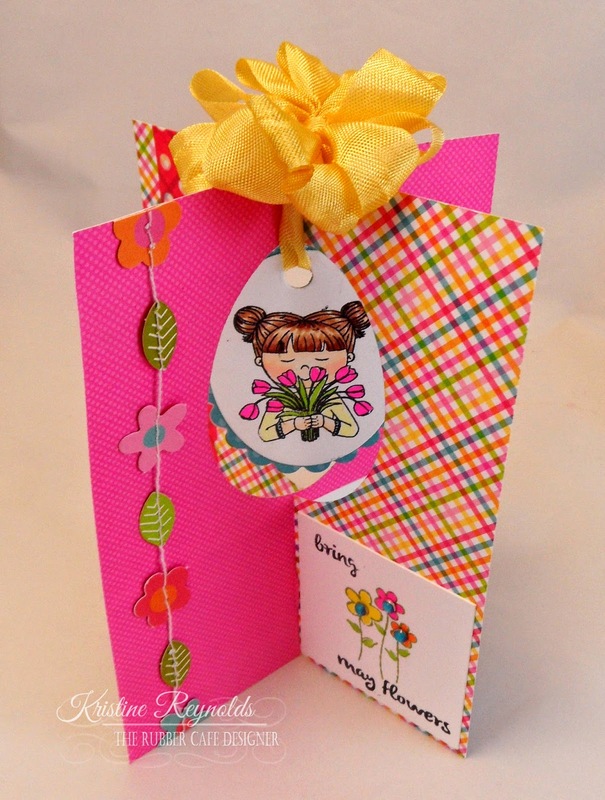 Punch a hole in the top portion and tie it on to the card as shown. Here's how it looks when its opened back up. Here's another look from another angle. 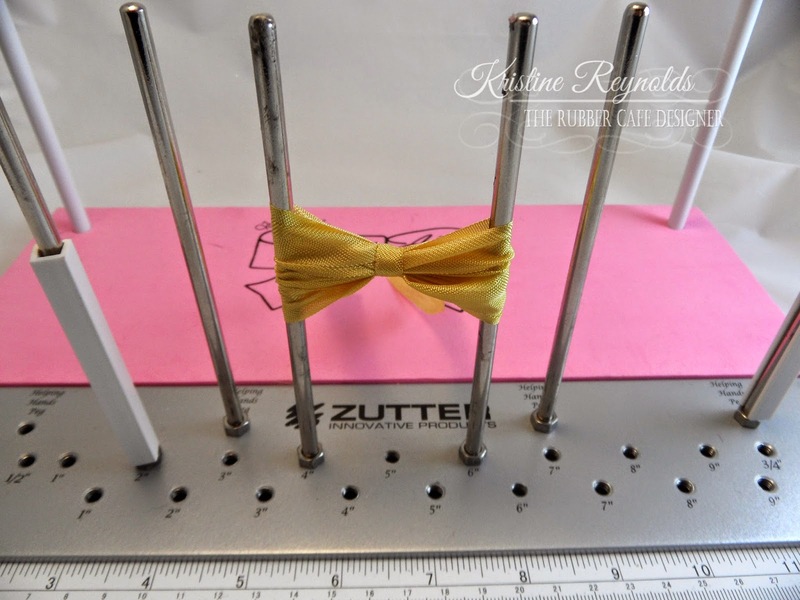 I hope you enjoyed today's tutorial and that you'll give it a try!